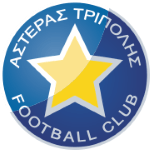 The club of Konstantinos Triantafyllopoulos, Asteras Tripolis, presently holds twelfth position in Super League (Greece) and first position in group Gr. 6 of Greece Cup (Greece). Until now, Konstantinos Triantafyllopoulos has been present in 30 games. 63% of Asteras Tripolis's football players are right footers and so is Konstantinos Triantafyllopoulos. Konstantinos Triantafyllopoulos is a male defender from Greece, who has been playing for Asteras Tripolis in Greece since January 22, 2016. He stands 186cm high and thus is 6cm taller than his team on average. Born on April 3, 1993, his age of 26 exceeds his team's mean. Konstantinos Triantafyllopoulos is playing as defender in Asteras Tripolis together with Patricio Matricardi, Angel Martinez, Alexandros Kardaris, Grigoris Fotopoulos, Giorgos Kyriakopoulos, Valentinos Vlachos, Triantafyllos Pasalidis, Christos Tasoulis, Robert Kumadey, Panagiotis Diamantopoulos and Ioannis Christopoulos. At Asteras Tripolis, he is the owner of strip number 5. Just seven days ago he played his latest match. Konstantinos Triantafyllopoulos's portfolio includes two accidental own goals, which happened with Panathinaikos Athens in a match of UEFA Europa League 14/15 (Greece). Considering he weighs around 176.37lb, Konstantinos Triantafyllopoulos is approximately 12lb heavier than the average player of Asteras Tripolis. In his footballer career, a total of 41 cards were ascribed to Konstantinos Triantafyllopoulos. While thus obtaining an average of 2.16 cards per term, he has not even gotten any yet, for now. He just scored no and initialized no goals at present. This leads to roughly zero scores per match in the resent season. One could say he translated to a slighlty diminished form compared to last year yielding a per-match-quota of 0.03 goals and 0 assists. His longest stay in a team counts three years and 6 months in Panathinaikos Athens (Greece). Konstantinos Triantafyllopoulos impressed in Super League 13/14 (Greece), reaching his personal record of match appearances. So far this season, he tied 40% in Super League and won 100% of Asteras Tripolis's matches in Greece Cup. They also managed to win 3 fixtures in a row in Greece Cup. On the whole, he joined the pitch nine times and left it seven times after the start of the match. In the present term, he played less games until end. 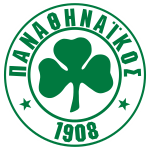 Before joining Asteras Tripolis, Konstantinos Triantafyllopoulos was engaged in the squad of Panathinaikos Athens. 40 months has been the stubbiest period that he was contracted to a team (the current one).